Well, we think it is pretty safe to say that this summer has been HOT. And thankfully, we will soon have a brand new place to cool down in. 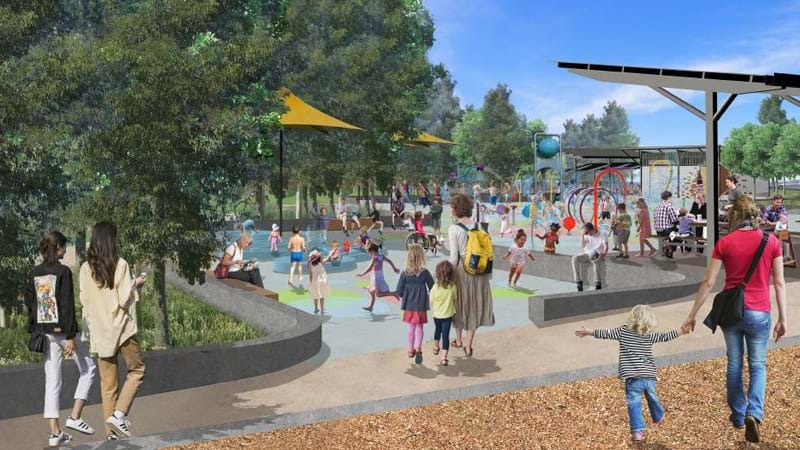 We will now be spending a lot of time in the Macarthur area, because plans for Macarthur’s largest splash park have been approved. The $9 million project was approved late last month, and it is set to be the biggest in its region. We can expect the new site to be built on the Ron’s Creek riparian corridor alongside The Northern Road and Central Avenue Oran Park. Talk about a prime position! According to plans, the new fun space will feature water slides and spinners as well as non-water based fun, including swings, in-ground trampolines and more. The new park will be perfect for children of all ages and suitable for a great day with the family… including toddlers. If water isn’t your scene, the new site will also have a basketball half-court, barbecue facilities, picnic area and an amenities building. We can’t wait for this to open!